Room for rent with built in robes in our lovely house in Jingili. 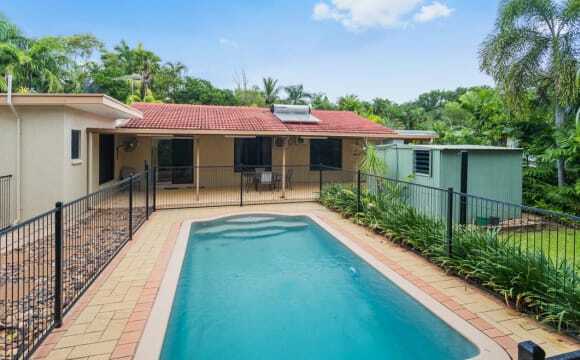 The location is great - Just a couple of minutes to Casuarina Shopping Centre, beaches, airport, hospital, Bunnings and parks. 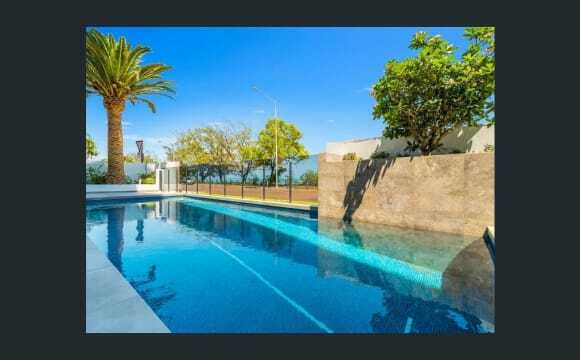 The house is a newly renovated fully furnished 5brm with a salt water pool, 3 storage sheds, indoor and outdoor dining areas, tropical gardens and various parking options. Power/gas is split while solar heated water helps to reduce the power bill. Unlimited internet is included in the rent. We’re looking for a mature, down-to-earth and respectful person preferably working full time. If interested, we’d love to hear a little about you and to organise a viewing time 🙂 $160 p/w. Currently 2 male and 1 female living here, and a medium sized dog. Sorry, but no pets or couples. 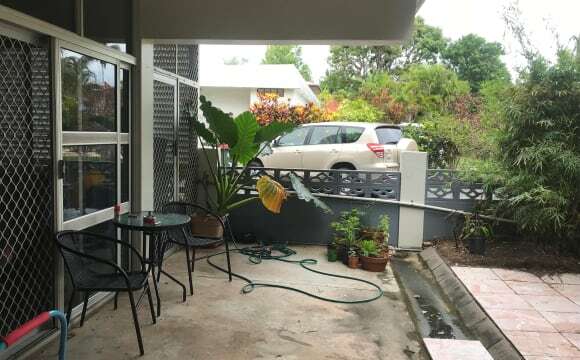 Ground level, airy and renovated 4 bedroom house in Jingili. Share with one other person. Fully furnished with new kitchen and bathroom. The house has a good size backyard and the deck overlooks the pool. Located on a quiet street close to Jingili Water Gardens. Drawers and clothes rack can be provide for the bedroom - all you'll need is a bed. Room has aircon and fan. 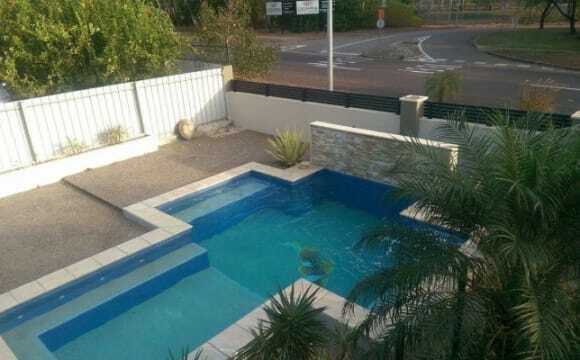 Close to uni, school, casuarina shopping center, public transpotation. 1 bed room for share in 3 bedrooms house. $150 perweek including some bill (wifi and limited using of aircondition in the room) No pet, no smoking no alcohol. More information can be asked on inspection. This is an elevated tropical house with shaded garden and pool. 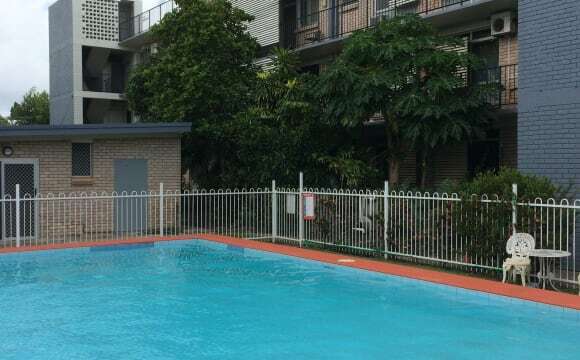 The property is within a 2 minute drive from casuarina Square so it's ideal for students as CDU is minutes away. It's reasonably spacious and well established with recent renovations and a large pool out the back. This large Darwin house is in a culdesac so is quiet and private, with off-street parking. It is surrounded by a tropical garden (mostly self-maintained) in a large yard so gets a good breeze through the louvres. It is fully airconditioned and has access to a large pool in the property next door. There are two rooms to choose from, one is large without an ensuite, and one is smaller with a private ensuite. Either room can be furnished if needed. You would be sharing with 2 strictly inside cats and a small dog (she is only home when I am)! The unit is ground floor in a quiet and very shady complex a stone's throw from the foreshore, Rapid Creek bridge, and the pizza oven truck. 10 minute bike ride to the university. All rooms are air conditioned, and the location means a great sea breeze in the afternoons. Herb garden in progress. 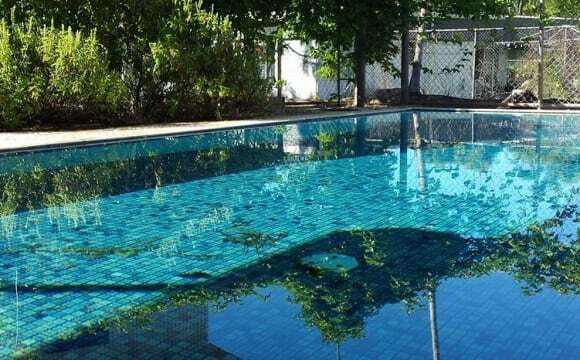 The pool is a perfect size for laps and well maintained. Separate secure laundry and storage area. Fold out sofabed in lounge for visiting family/friends. Really safe complex and super friendly neighbours. Happy to share costs to get NBN connected. My place is ideal if you want somewhere to stay while looking for somewhere long term. It’s generally cheaper than air bnb. Stay a week, 2 weeks or longer. 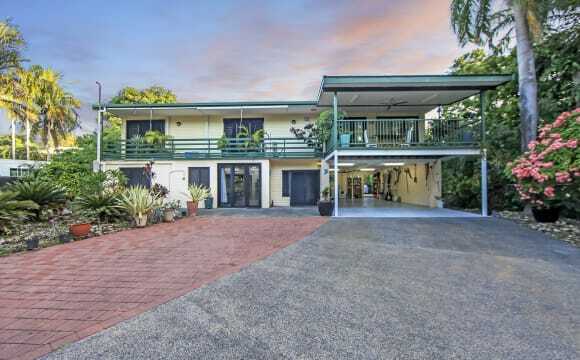 Short term is ok. Live close to the bus to Casuarina shopping centre and to Darwin CBD. It’s about 100 meters to bus stop. Live by the ocean, balcony view of beachfront. Large pool, Large balcony, great for outdoors life style. Ideal if you like beach walks, bike riding and swimming. Or just sitting on the balcony enjoying a drink &amp; the view. Great sea breezes. All rooms have ceiling fans &amp; aircon. Close to CDU, bus, shops, beachfront hotel, sports club, cafes etc. Can ride a bike to RDH their is a walkway that goes past the uni. Furnished room, lots of cupboard space. Off street parking. Share bathroom with one female. Clean, Relaxed household. My place is up 2 flights of stairs, no lift. One cat lives here unable to have more than one pet. 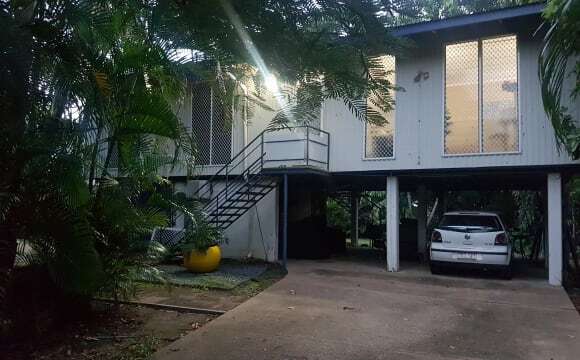 We are looking for one housemate to join us in our new 2 story townhouse just off the beautiful Nightcliff foreshore. Located on Chapman rd, we are literally a 2min walk from the foreshore (and wood fired pizza place on a Wednesday). The room is an unfurnished queen size bedroom (4.15x3.2m) with built in robe, aircon, fan, and louvres making it comfortable and airy with plenty of space for your belongings. You will be sharing a bathroom with one other plus an additional downstairs toilet. This house has Modern aircons fitted in every room and fans making it airy and cool . The house has an amazing spacious outdoor undercover living area with built in gas BBQ. A large living area with doors that open onto the easy to maintain garden. There is a spare room to be used as a guest bedroom and some storage, so plenty of room. We are looking for a late 20’s-30’s, non-smoking professional with no pets that enjoys a good house dinner/bbq or just a beer and wine in the evenings. We like hosting a bbq or a dinner with friends, but we are not a party house. 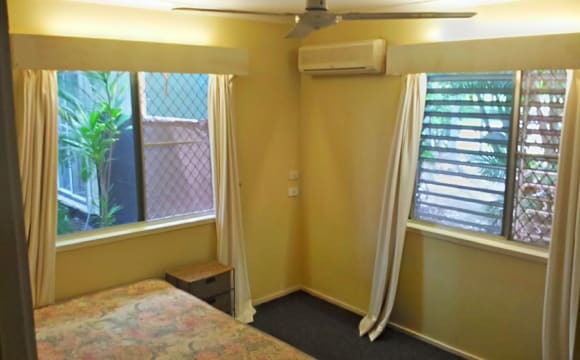 - I have an air-conditioned room available in my elevated house for single occupancy, which is located in a very quiet court in Millner (no passing traffic). $160 per week. I have a large yard and it is a comfortable fully furnished home with queen size bed provided in room with built-in wardrobe. - House has lots of parks and open green space around it making for a pleasant area to live. Foreshore and beaches are nearby. - 95% of neighbours are owner occupier long term residents. - Lots of supermarkets, shops, cafes, local weekend markets are nearby. - I bike ride often and do lots of my commuting by bike as it is often faster and easier - Equal share utility costs (electricity, water, sewerage, gas). I have solar electricity panels and solar hot water system that greatly assists with reducing the cost of utilities bills. - 4 weeks bond required. Rent 1 or 2 weeks in advance. - Public transport is nearby. Central to Casuarina (approx 4km away) and City (approx 8km away). 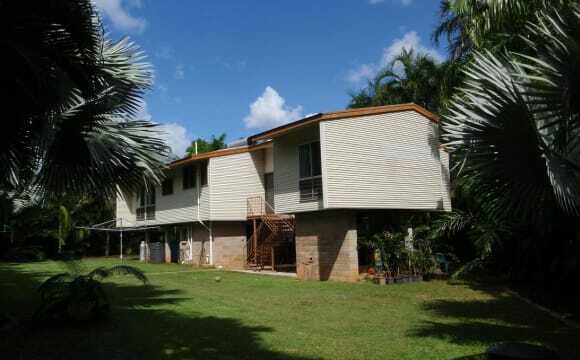 One room to rent in a 3 bedroom, 2 bathroom house located in Tiwi. 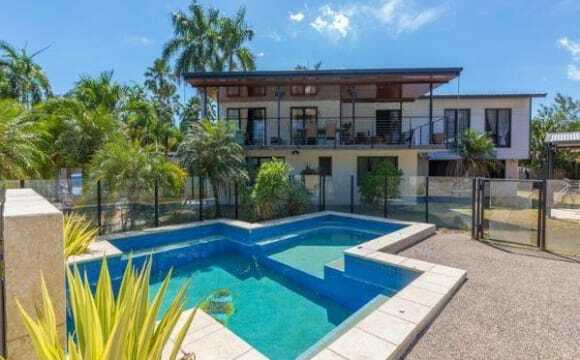 The house is walking distance to Royal Darwin Hospital, Charles Darwin University and the beach. We have an ensuite so you will be sharing the main bathroom with one female. The outdoor area is set up with a nice undercover entertaining area including a hammock, two Webber’s and a low maintenance salt water pool. The rooms are what I consider small, however they are fully furnished with queen beds, mirrored robes, fan and aircon. If you need space to lock up your tools or just someone with a bit of stuff, there is a huge secured garage with a toilet out back. There is off street parking and the house has a remote controlled gate and fully secured fence. We don’t have a dog (yet), but would happily consider one. Rent is $250 p/week (including Netflix and unlimited Wi-Fi) then we can split the power and water bill each quarter when it arrives. 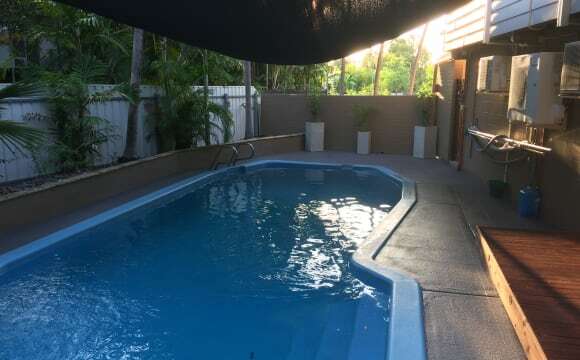 PHOTOS COMING SOON -Outdoor Pool &amp; BBQ -Aircon -Foxtel, Stan &amp; Netflix -Unlimited Wifi -Close to Hospital -Room can be furnished or unfurnished -Close to Casuarina Shopping Centre -Spare room available for visitors -Own bathroom (you basically only share with any visitors) We are looking for a female (sorry no couples or pets) who is respectful and working full-time. Shift workers will be favourable. Feel free to get in contact for an inspection. Peaceful second level unit over looking pool and palm trees with a minimalistic approach to furnishings. Rent includes fortnightly cleaner and electricity. You'll be sharing the apartment with one other person and have your own bathroom. It's got air conditioning throughout, but also gets the breeze so you don't really need to use it. Balconey overlooks the park and gets great sunsets. Walk to Foreshore cafe and the Nightcliff pool, and a quick drive to the supermarket. The best location and the best building in Nightcliff - holiday living. 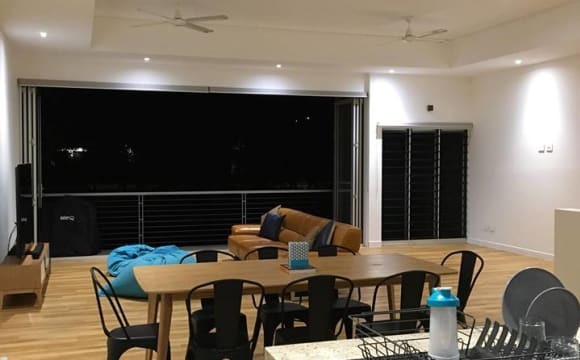 Fully furnished 3 bedroom 2 bathroom executive apartment with swimming pool, small gym &amp; communal Zen Garden, free tennis courts nearby, cycling, running path, beach and Nightcliff pool in front of the bldg. Full security - electronic building and lift entry. Come and see the place for yourself.